Lectins are a way that nature has equipped itself with its own system of defense and the way that vegetation defends itself against larger predators such as humans and animals. Lectins found in grains, nuts, legumes and nightshade vegetables have been linked with digestive distress, leaky gut syndrome and chronic inflammation (1, 2, 3). Find out how to minimize the damaging effects of lectins in your diet. Lectins are carbohydrate binding proteins that are present in both plants and animals (4). There role is to protect plant species and they also support immunological functions within their respective species (4). They are sticky molecules that bind sugars and cause functional shifts in the body. Lectins have been reported to damage the gastrointestinal lining and create states of chronic systemic inflammation (5). Lectins have been shown to bind with the intestinal lining and in particular the villi of the small intestine. The villi are the little pockets that nutrients flow into before they cross into the bloodstream. When the villi are damaged by the lectins the body is unable to effectively digest and absorb nutrients from the small intestine. The damage and inflammation the lectins cause also creates a dysbiotic gut flora that encourages parasites and other pathogenic organisms (6). This process leads to leaky gut syndrome in which the intestinal lining has open gaps and now lectins and other particles and pathogenic organisms are able to get directly into the bloodstream. Lectins that are free floating in the bloodstream have an affinity for the insulin and leptin receptors and are believed to desensitize these receptors contributing to insulin and leptin resistance in the body (7). The body also creates an immune response to the lectin molecules as it tags them as antigens or foreign particles that could be harmful. This leads to an auto-immune reaction where the immune system will attack tissues that lectins attach (5). Once this sensitization of the immune system takes place the body will also become highly inflamed when one consumes foods containing high amounts of lectins. Wheat contains a lectin called wheat germ agglutin or WGA. Many individuals have a high level of sensitivity to WGA and this is often mistaken as a gluten sensitivity (8). Lectins inhibit nerve growth factor which affects the ability of the nerves to heal and repair effectively. Many individuals never test positive for a gluten allergen yet they have WGA sensitivity that is causing severe inflammatory problems in their body. It is impossible to remove all lectins from your diet. Having some level of lectin consumption can be beneficial for your health because it provides a mild stress to the digestive system that strengthens our digestive capabilities. The key is to avoid over consuming lectins…which is a variable that is different for everyone based on the health of your digestive system. I have found that the lectins in grains, legumes and nuts to be more challenging than those in other fruits and vegetables. These are the first I focus on reducing consumption of and often it is all the individual needs to be careful with. 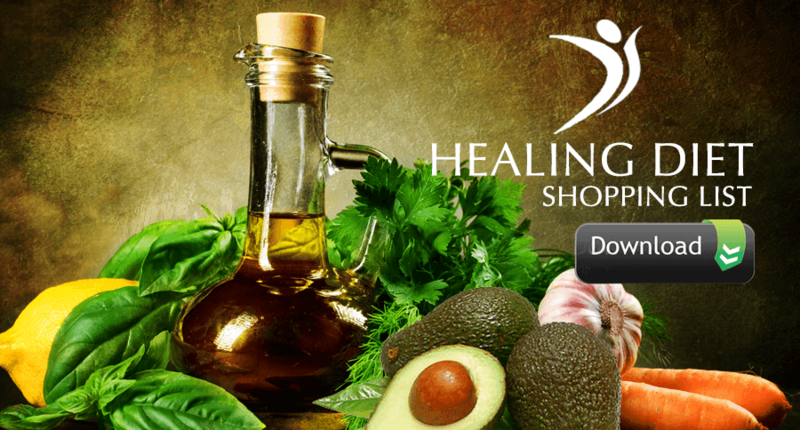 The healing diet approach in the PDF below shows you how to focus your food choices for a nutrient dense and lower lectin nutrition plan. Soaking, boiling and sprouting grains, legumes, nuts and seeds all helps to decrease the number of lectins but none fully eliminates them except for pressure cooking. Lectins are fairly resistant to enzymatic activity but sprouting is one of the best ways to minimize lectins. Many individuals who are trying to eat healthy eat very large amounts of unsoaked and unfermented nuts. Many of them also use whole grains which contain some of the highest amounts of lectins. This very often causes major digestive distress and the individuals often have no idea why as they assume their diet is clean. The trick is to soak, sprout, ferment or boil the lectin containing foods and avoid eating them often. You can throw some almonds in your steamer as you steam broccoli or brussel sprouts and you remove about 50% of the lectins and make the nuts more bioavailable (9). You should also soak and germinate nuts and seeds or purchase them pre-soaked and germinated. If you are unfamiliar with this process simply put the nuts, seeds or grains you are wishing to consume in some clean water with a little bit – 1 tbsp of apple cider vinegar and let sit out for 12 hours (overnight). Then wash and rinse the nuts/seeds and they will have removed many of the phytic acids and about 50% or so of the lectins (9). What Does Dr Jockers Do? As one who has suffered with irritable bowel syndrome through my teens and twenties, I am very sensitive to poor nutritional choices. I have better digestive health now than at any point in my life due to a diligent anti-inflammatory nutrition plan and key supplements along with spinal corrective chiropractic care. At one point, I struggled any time I had lectin containing foods but now I can handle them in moderation. I enjoy sprouted nuts, seeds and legumes on occasion. Chia, flax and hemp are some of my favorite and also very low in overall lectins and their nutritional benefits (essential fats, fiber, anti-oxidants and complete protein) outweigh any small amount of lectin I take in from them. I do not eat nuts very often. On my own, I rarely eat nuts as I feel better without them. At occasional social settings I will have something that uses almond flour, almond butter or has other nuts in it. This happens about once a week or so and I typically feel fine because my body is no longer sensitized to it since I eat it so rarely. I do enjoy raw grass-fed milk and occasionally some fermented dairy in the form of grass-fed cow and goat cheeses. I don’t typically recommend these for individuals with severe digestive disorders or auto-immune conditions. However, grass-fed butter is very low in lectins, casein and lactose and ghee is free of all of these and I consume and recommend a grass-fed ghee on a regular basis. I avoid grains as I feel much better without them but again at social settings I may have a small amount of brown rice or sprouted grains. This is perhaps once every 2-3 months and I typically feel fine as I so rarely consume these foods. 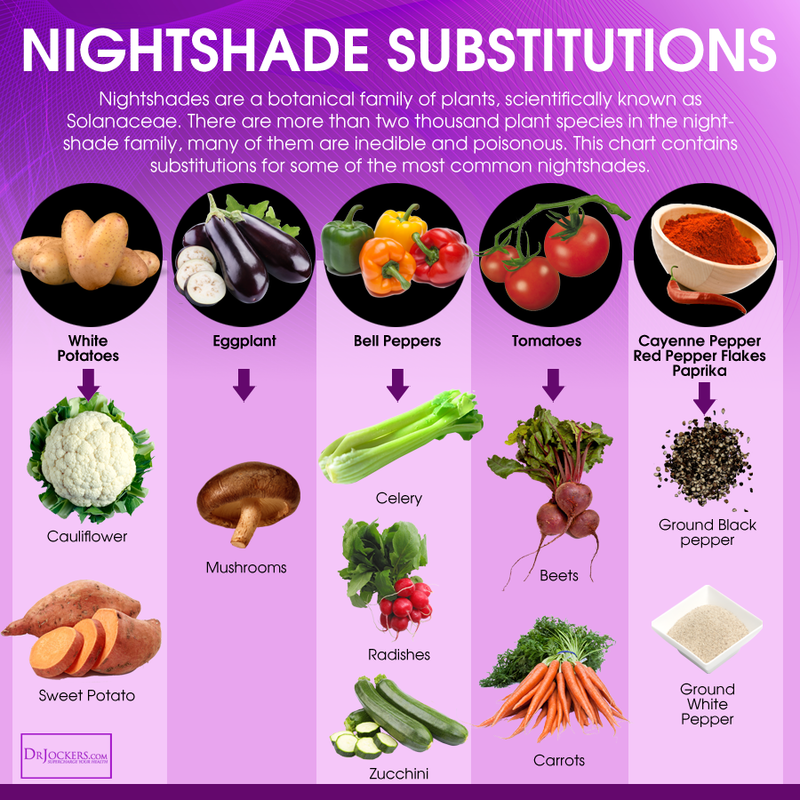 The only nightshade vegetable I do often consume are bell peppers of different colors. I enjoy these and feel as though I digest them and tolerate them very well. I avoid corn, soy, potatoes and eggplant and rarely consume tomatoes. I may have something with tomatoes at a social setting and seem to tolerate it just fine. If you are consuming a lot of lectin containing foods and wish to continue than I would recommend taking a good digestive enzyme with it to help minimize the negative effects. I always use digestive enzymes when I am going out to eat or eating food I am not certain is the best. I also use it if I am going to eat foods that contain more of these lectins or even just having a very large meal. How do you ferment chi seeds, they are so small. do you have to rinse them? You can soak them overnight as that is a start…fermenting them is a little more tricky but at least soaking will remove some of the lectins. I get my fully germinated chia called – Terrain Omega from Beyond Organic where the chia is fermented with fermented turmeric, holy basil and milk thistle. Really powerful source of anti-oxidants and bioactive phytonutrients. If I soak chia seeds in almond milk over night and eat them milk and all … is that wrong? Some people do just fine with this Susana! Interesting – Is the amount of lectins reduced in Almond butter, hazelnut butter, etc vs the raw nuts? No, unless the nut butter is soaked and sprouted they still contain the same amount of lectins. It’s too bad you site paleo websites as your sources while ignoring that legumes, whole grains, nuts and nightshades have been consistently shown to be healthful in almost all categories (cardiovascular, immunity, cancer prevention, lowering cholesterol, lowering insulin resistance, reducing cancer risks and improving bone health). The “anti-nutrient” claims made by the paleo crowd doesn’t hold water to science and they are simply a non-issue when eating a balanced diet. Claiming that lectins lead to “digestive distress, leaky gut syndrome and chronic inflammation” and then not acknowledging that the healthiest groups of people on the planet base their diet on those same foods you suggest avoiding is simply bad advice. No two human beings are alike on this planet. Some people can tolerate different foods. No specific one-size-fits-all happens when you eat food. Dr. Jockers is simply explaining what works for him which helps people like me who is fighting similar issues. I ate legumes and nuts for a long. Being on a Paleo diet until I found out about the phytic acid. As soon as I stop the inflammation went down. Very good points Scott! Some people will be able to metabolize lectins better than others. Phytic acid don’t cause inflammation. It’s simply anti-nutrient substance. It has even proven anti-oxidant properites, so how can it cause inflammation? Hey Arths, phytic acids can be difficult to digest, causing aggravation in the intestinal tract. If it goes on long enough it can contribute to leaky gut conditions and systemic inflammation throughout the body. I have read and truly believe many grains have to much gluten, so wheat bread is actually not that healthy since it usually irritates the stomach, even if people don’t have celiac disease. Maybe one may not believe that lectins can be bad, they can in certain foods such as beans, but once cooked beans can be eaten. Sure some people can get nutrition from foods said to contain lectin, but certainly wheat is not good for you, you should research that more and will find out it doesn’t just affect people with celiac disease. You mean the hog fattening chart! How about reading “Eat Wheat” by Dr. Douillard, too. Yes I completely disagree with much of what he says in this book. I believe he wrote it because he knew it would sell and filled it with poor quality science. I can only speak from experience and because of bad diet when I was young…stress and antibiotics(over use) I ended up with “leaky gut”…and yes there is such a thing…the regular medical doctors don’t acknowledge. Once I was introduced to this way of eating I have been able to live without the inflammation and pain I was having while I thought I was eating a “healthy diet”. From what I understand this protocol of eating this way is for those of us who have gut issues…not the fortunate healthy people that didn’t have terrible diets, stress and antibiotics when they were young. Hi Shelia, That is a great question. I don’t recommend the consumption of wheat for anyone. Although individuals with digestive issues can benefit from the avoidance or limitation of lectins, people with healthy guts should not consume too many high lectin foods. This can contribute to inflammation and the breakdown of the gut barrier. To help put things into perspective, and from personal experience, traditional use and methods of using these suspect foods generally is not an issue. The problem seems to arise when we consume adulterated, highly processed versions of these food groups as a result of industrialization. This then sets the stage for extreme immune response and sensitivities when consuming these same food groups, even when eaten in their more natural, raw, pure state. I spent my childhood eating whatever tasted good, lots of sugar and pastries, processed dairy, nuts of all kinds, 2-litre of Mountain Dew every day, lots of alcohol, recreational drug use, little exercise. Naturally (unnaturally), I developed severe digestive issues, food in-tolerances, muscle, joint and nerve inflammation. There was a week when I was in my mid-twenties that I spent volunteering in the jungle of Guatemala at an animal rescue center… I watched a woman soak maize and black beans, hand-make the tortillas. I was very concerned about the black beans, as I avoid beans like a plague, but none of the food gave me any issues the entire week. So, I think it is all a matter of perspective. If I were to grow up eating traditional foods prepared properly, starting with infancy through adulthood, It would be very unlikely that I would suffer with what I have now. And, simply reverting back to proper food selection and preparation now, can have little affect until the core issues are resolved, such as avoiding inflammatory triggers, following a FODMAP diet, etc. Forest for the trees, folks. I grew up eating mostly from my own garden, or local markets. Well balanced diet, with little sugars, or processed foods. The pain worsened throughout the years, until it was a chore to get out of bed. So for me, it’s hard to pinpoint the route cause. Sorry to hear about this Megan! It may have been beyond your diet – such as issues with household molds, high oxalates or lyme disease. After listening to most of the Diabetes Summit and much of the Thyroid Summit over the past 2 weeks, plus reading a ton of books, I am more confused and discouraged than ever. After years of being told that the best way to eat fruit and veggies was RAW, now you’re telling me it’s important to cook them first?! I just don’t know whom to believe. There are a million different opinions out there and they can’t all be right. So, I’m back to guessing and doing the best I can to figure out what works for ME specifically. I don’t think one lifetime is enough to figure it out. Yes Elizabeth it can be confusing…that is why I gave an explanation in this article as well as in this article here. Just follow what I teach in these articles and you will be maximizing nutrients and minimizing toxins! Thanks for all the info. You mention BO amasai. We ordered it but then I realized it had cane sugar in it. I was so disappointed. I would think you would be against consumption of any sugar? Wishing they made it without, sweetened with something else. Any ideas on where to buy grass fed fermented yogurt without added sugar? Or do you have any recipes? Organic Valley makes a grass-fed yogurt. Sorry you had a bad experience with the Beyond Organic products. The plain amasai does not have any cane sugar and that is what I use. You would have to buy grass-fed raw milk and culture your own to make the yogurt. Blessings! Oh that helps, we ordered raspberry. Thx! Hi Dr. Jockers, I am wondering is grass fed Ghee free of Lectin, glucose and casein? Great question Sam! Because ghee is clarified it is free of lactose, casein and whey and low in lectins. Very easy on the digestive system. Ghee is not 100% free on casein. I am allergic to milk since birth and I sneeze and get stuffy every time I have tried ghee the past 15 years. If I continue eating it I get a headache too (my signs ofmilk allergy). The same thing happens with Goat milk protein & goat colostrum my ND raked me into trying. Dairy free for me. Most of my patients do not have any of these issues with Ghee, I’m glad you have found what works for you! It is possible that some brands will contain trace amounts of milk proteins that you are hypersensitive to. My dilemma is that while improvong my SLE & Autoimmune Vasculitis, a low-lectin/AIP Paleo style diet has worsened my thyroid issues and significantly raised my cortisol while decreasing my testosterone. How can I add calories/carbs without triggering autoimmune issues? White Rice? Gluten-free Oats? White Potatoes? It’s a real catch-22. In place of dairy, I drink almond milk. Is it as harmful as nuts? The brand I buy has no carrageenan. In my history I’ve experienced IBS, but do much better with Culturelle pro-biotic and as long a I stay on my Effexor the IBS is less severe, even with almond milk. It is better than nuts Lori, however, doing too much (more than 1 cup daily) could provide too much lectins. So be careful. Glad you are doing better overall though!! Do you have a lectin free diet program? Do you know of any good lectin free diets or books? Read the Plant Paradox. It goes into detail about Lectins, your health, and alternatives. Im on a low acid diet due to acid reflux and the only really low acid fruit is melon…and i especially love, love, love watermelon! Now what? Its so depressing, which is bad for health as well. So sorry to hear about this Jennifer. I would recommend following some of the strategies in this article. Been there…done that. Let me share with you what I’ve learned about Acid Reflux. Do not take antacids! In fact, do just the opposite. People that suffer from Acid Reflux are actually suffering from a lack of stomach acid and not an over abundance. While you might be tasting acid, feeling super bloated and suffering burning in your throat, what you are actually experiencing is weak acid coming up your esophagus. You should consider taking a diluted shot of apple cider vinegar or Betaine HCL just before you meals. After a period your symptoms will slowly diminish because your gastric glands will start to produce more acid. Essentially you will be priming the pump. One other quick thought, eat what ever fruit you want-acidic or otherwise, but in the next few months only consume the fruit by itself. Wait an hour or two before taking in a meal with fleshy proteins. The rule is, simple carbs should be consumed on their own…and vegetables and meats are eaten separate from fruit and simple carbs. Lastly, eat smaller portions for a while. Our eyes are bigger than our stomachs and eating large meals hoping they will be digested properly is like overloading your washing machine with filthy clothes hoping they will come out spotless. Laundry detergents need a little space to enzymatically break down dirt, stains, etc., and the stomach acid needs space as well. Doc, if I hadn’t been in such a rush to respond to Jennifer, I would have seen your “10 Steps To Beat Acid Reflux Naturally” and just kept my mouth shut. I read your article and learned a lot. Thank you. Haha no worries Ashton…glad you got a lot out of the article! Zucchini is mentioned as a veg with lectin yet it is mentioned as a substitution? Which is it?? Also chia seeds? Dr. Gundry says this is not a good seed to eat. Good question Alexandra, zucchini is very low in lectins so they are a safe substitution! Also chia seeds are safe on occasion, especially if soaked first. Dr. Jockers you contradict yourself in your article. “soak and sprout legumes”, yet in the chart you write “the hard lectin in legumes is impervious to soaking and sprouting”. so we cannot believe any of this. Both statements cannot be simultaneous true. Shees. Hey Steve thanks for reading! I am not sure which chart you are referring to. beta towards the world, right after launching it generally in the United states and U.K.
instant messaging communication (no video and voice but, individuals demand a connect-in installment). How can I make my almond milk lower in lectins–soak and sprout before I blend and strain? What other milks do you recommend for smoothies that are lower in lectins? Hey Stacy you could do that and it should lower the lectin content. I have even started seeing sprouted almonds at certain health food stores that would be okay to use! One of my favorite milks is actually coconut milk though. The full fat coconut milk in a BPA free can can be simply diluted to make your own coconut milk that is full of healthy fats and no worries of lectins! omg all of more grocery is full of lectins. what should i eat now ?? 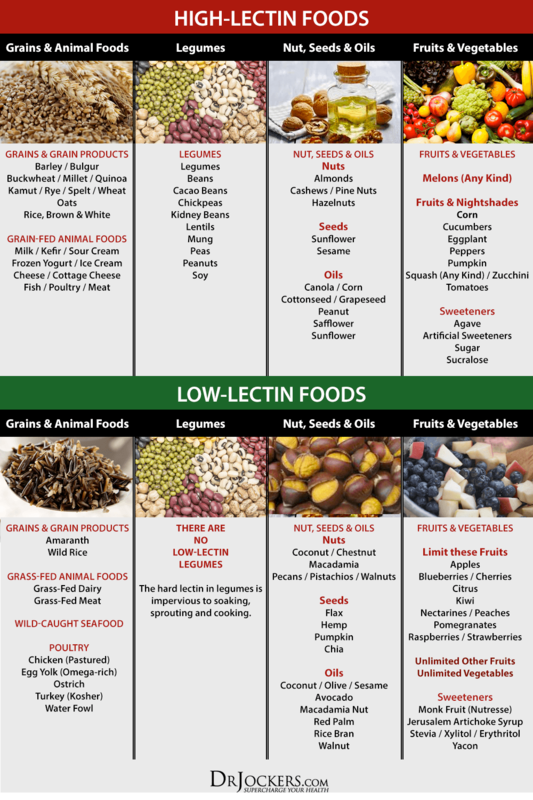 I’ve been on the Eat right for your blood type diet for years and yes it is all about lectins. Each blood type has a very different diet. The only way of eating that ever made any sense at all to me. I’ve never believed in one diet for all and no not everything in moderation is true. I use chipotle chile powder and other chili powders, and curry powders.. How would I know which of these contain lectins and whether they are high or low in lectins… I can go with the almost no lectin regime, but… giving up the hot stuff???? Also Dr. Gundry says pumpkin is high in lectin and should be avoided… what about peeled, de-seeded kabocha squash or butternut squash? Hey Linda good question, it’s like I said in the article. I still enjoy small amounts of sprouted nuts and seeds on occasion and can handle them quite well. Using these spices in moderation as long as you don’t have any gut issues going on will likely be okay. As for squash or pumpkin, if consuming I would suggest pressure cooking and using a digestive enzyme supplement. Is wild rice okay? The picture says it’s low lectin but you say to avoid all grains. Also, is sprouted bread like Ezekiel bread okay? Hey Michael, these things I just typically notice that people do much better without them. On rare occasion in sprouted forms can be okay. Hi, My husband and I are preparing to go on a low-lectin diet. We are both very confused by the fact that various foods are inconsistently labeled as low-lectin or high-lectin among different, highly reputable sources on the Internet. For example, one doctor says Millet has no lectins while you list it in the high-lectin group. Same goes for pumpkin seeds, to name just two examples. How is the amount of lectin a food contains determined? Is there any definitive source you could refer me to? How can we deal with these discrepancies? Thanks for your help! In general, I would say grains, beans, legumes, nuts, and seeds are the most important for a low-lectin diet. Soaking and sprouting can help lower this but usually better just to avoid. Can you drink wine when you try to be on low-lectin diet? Also- what kinds of protein powders do you recommend as a supplement for postworkout . Are fruits like bananas are good to eat daily after weightlifting workout? I advocate for more of a low-carb, high-fat diet so bananas are not something I will recommend. I read there is lots of research on the benefits of ALA which is found in flaxseed, chia seeds, walnuts, etc. Is flaxseed oil contain less lectins than the actual seeds? How can I get ALAs in my diet? Hey Ileana, yes you can use those sources to get more ALA. Cold-pressed flax seed oil can be good or flax seed that you grind fresh yourself. Hemp seeds and oil are lower in lectins while also containing a good amount of ALA so that is something to consider as well! This is common Marissa! Probably best to avoid it! I think you should learn how to spell correctly to give credibility to what you are saying. Hi, I have osteoarthritis severe case in back and neck, as I am open to eating and doing anything as long as it doesn’t cost a whole lot, as my finances are not very good. Make sure you get enough Vitamin D & K and get out into the sun as much as possible. Magnesium and DHA will be important as well. Hi Dr Jockers, what do we do regarding milk Kefir? I really want to follow your dietary advice word for word, but it’s a pity to cut out milk Kefir when it’s so full of Probiotics. Raw Milk Kefir or even Raw Goat Kefir would be ideal but feel free to try out the kefir you like and see how your body responds! THANK YOU so much Dr Jockers for always being so helpful! can u comment on diverticulitis= this Is my fourth attack in 4 years- this time I probably lost 8 lbs and I am so confused about what to eat= I just read about lectins and started= very slowly= following the guidelines but I am so hungry= any diet and food plan recommendations ? Also I stopped eating dairy yogurt and turned to coconut milk in order to make my own- it seems that there are too many additives in the milk= help! My fave plantbased breakfast is chia seeds soaked in oat milk (alpro) with berries almond flakes and pecan nuts. So all this is no good ? My favourite snack is cherry tomatoes and eggplant on tahini on topacio flour bread…. again no good or ok once I feel I have healed ? Can you pressure cook chia seeds? Thinking that it may reduce some of the lectines and make it more beneficial. I have never considered this Peter! Hello from just outside of Atlanta. I am a 49 year old woman w a double history of cdiff (got misdiagnosed and had a relapse 6 months later), diverticulitis which several doctors say my gut hasn’t begun to start healing from. Within the last 3 yrs i was diagnosed with lipedema and am now in stage 3. I work at in a high end grocery store where my work schedule is far from normal. Was told to go on the RAD DIET. I am also an epileptic. Don’t want headaches and want to stay hydrated. Having water in the department is forbidden although a warm water fountain w to much calcium is available.I am having vein stripping surgery in October. I’ve had a 3cm lipoma removed from my foot. Was told to go gluten free. No movement for days on end. I am only part time so financially I have to take into account. We have a Publix, Walmart and Kroger to shop from. Closest sprouts is almost 2 hrs away no Whole Foods. If getting rid of lectins is good for me then I’m gonna need tons of help. I don’t cook much. Sometimes dinner is at 11pm and lunch is at 3pm because of work. So, here’s my question: why do some people never have a problem with leaky gut, and others have to go on an extremely restricted diet? Is it hereditary/genetic? Also, even if a person does have leaky gut (I don’t but have a family member who I suspect does) it is necessary to discuss the difficulties involved in trying to stick to a way of eating 180 degrees away from everything you have known since Day One. This is an important matter. Using will power day after day, year after year, is not in my judgment a very good “cure” even though it does work. I acknowledge that some people, perhaps through prayer, are able to live this new lifestyle, but the rest of the population needs something more suitable – yes, “easier”. We cannot just cast them aside. What do you think? Also, not saying you are doing this – but there is an excessive fixation nowadays on consuming antioxidants, both thru food and supplements. Yes you do the best you can and in some cases, with leaky gut and chronic inflammation, patients are highly motivated to get well and by avoiding lectins and other food based immune reactants, they get the best possible healing. I’ve “I.B.S.”, Inflammation , Osteo Arthritis, Insulin Resistance . I’ve to avoid 80% of foods , I’m strictly on Keto. I’ve to avoid Dairy , Gluten, Grains, Nightshades foods , and a few other groups. And no doubt I’ve leaky gut . 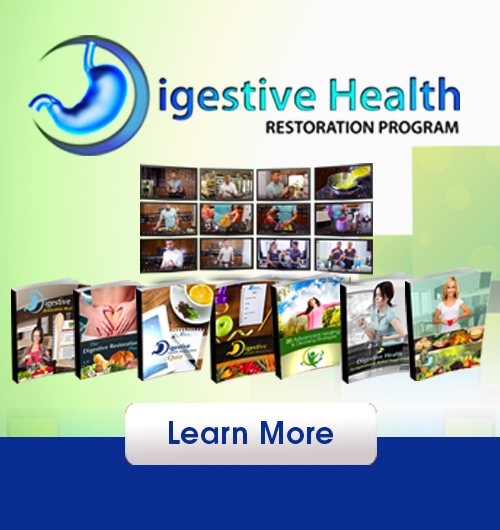 My question …..What steps to get rid of these issues Insulin Resistance and Leaky Gut?? ?